Don't just take our word for it — see what others are saying about PrimeTime Draft. PrimeTime Draft gets it. In-person live drafts are the best. There is no debate. PrimeTime Draft allows you to put the draft board up on your tv at the live event AND lets you sync up with someone who may not be able to be there live whether that's due to a last-minute emergency, or they're a friend who moved across the country but wants to stay connected. It's easy to use and it's a showstopper. My sisters and I are the co-founders of Her Fantasy Football. We've been playing together as a family for 10 years. This last family draft was a blast and was enhanced by PrimeTime Draft. My husband and I live in New York, while the rest of my family lives in Colorado. They all get together, and my husband and I connect via FaceTime. This year we didn't have to yell at the CO family to speak up to hear their picks or wonder if we missed something. It was all there, and we could better strategize. As it stands, I'm in first place. I have PrimeTime Draft to thank. I can't recommend them enough for your next draft! Do it!!! I found PrimeTime Draft to be such an awesome tool for our draft this year. One of the guys couldn't make it at the last minute, but with PrimeTime Draft he could jump online and draft with us while we were all there in person. After a great draft, the software grades everyone's drafts. There was more shouting at the end than there was during the draft! It was a great time and I would highly recommend PrimeTime Draft to my users and everyone else! As fantasy football fanatics, we play in a lot of leagues. And in every league we use PrimeTime Draft. The interface is super easy to use. We love the ability to have someone remotely draft if they can't make it. Nothing beats throwing a draft board up on a 70" tv and having it be the focal point of the party. We guarantee it will make your draft more fun, and it's so much less work than the old school sticker board. For the best day of the fantasy year, you have to have the best draft board, and hands down that's PrimeTime Draft. Want to hear more from the guys at Pick6 Fantasy Football? 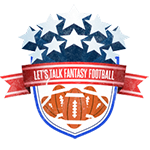 Listen to the podcast with PrimeTime Draft CTO Jeff Bruce. As a national Fantasy Football analyst, I play in a lot of leagues and am invited to a lot of drafts and draft parties. After trying out PrimeTime Draft at one of my draft parties last year, I can't wait to use them for all of my live draft parties this year! The ease of use, the simple interface, the functionality, and the ability to turn your TV into your draft board is not only practical but really awesome! I highly recommend them and you'd be crazy not to get this for your next draft party. Oh, and I tried other draft software applications as well and can honestly say, don't waste your time. Just get PrimeTime Draft! It's the best hands down. Happy drafting! After trying other draft board software, Blythe Brumleve (founder of the popular GuysGirl sports and entertainment blog) switched to PrimeTime Draft for their annual "GuysGirl All-Female Fantasy Football Draft". Read why they switched and have been in love with PrimeTime Draft ever since. 2011 was our first foray into using a digital draft board and while it didn’t go so smooth back then, 2012 was much different; mostly because we switched to a great software program called PrimeTime Draft. In the only digital draft board "showdown" on the web comparing several popular draft boards, see why LetsTalk​FantasyFootball president Nick Schreck selected PrimeTime Draft as his favorite. If I had to commit to one of these for my rapidly approaching draft day it’d be PrimeTime Draft. They have incredible support, the software is easy to use and it’s easy on the eyes. As we drink throughout our draft we need simplicity. PrimeTime Draft nails that. Last year we reviewed the online and offline fantasy football draft software, PrimeTime Draft. PrimeTime Draft got our best review of the year – to the extent that we used it for our personal offline draft needs in 2015. Well… 2016 seems to have a repeat performance as PrimeTime Draft has added a few minor features that make a big and fun impact, while maintaining the ease of use and experience that we have come to love. We are happy to announce that for the 2nd consecutive year, PrimeTime Draft has won the SportSmasher.com choice for the best fantasy football draft software! It is a huge step forward from the poster style draft boards and it is epic compared to the pencil and paper method we initially used... It is quick, easy and looks great. Just wanted to let you know, we have now used PrimeTime Draft for the last 3 years and used it again this year. Outstanding product!! Love the remote feature on the draft as we always have at least one person that ends up with a conflict on the day of out draft. They are then able to still be included and not get a best option draft or one compiled by the rest of the league. As always it worked FLAWLESSLY!!! Installed, Updated, and hooked up to the projector for a great visual drafting experience! This was our first time using Prime Time Draft for the 3 Fantasy Football Leagues I run and all my guys loved it! We won't be going back to boards and stickers. Its a time saver and very convenient for the guys that are out of state or that just can't make the draft to be able to see who's being drafted. Thanks for making our draft a success! Love this software!!! It is absolutely perfect for our league. We use MFL and it is great to just upload the results without having to manually type it into the site. We also like the fact that you can draft with an Internet connection or without an Internet connection. This was huge this year as we relocated the draft to a place that did not have an available internet connection and we would have been in trouble if this software did not have that capability... Thanks again and we really love your product. We are hooked for life! I've been playing Fantasy Football for 15 years and never have I had such a good time at my draft. Usually I'm too busy with stickers on a board to draft well myself. Easy to install (about 2 mins and ready to go), easy to use. One friend left the draft with website in hand ready to throw away their paper board and get your program for their draft over the next weekend. Great customer service. You can count on me for years to come using this program in my drafts. I just wanted to write you today to express a huge thanks to you and your company for putting out a great product. I found PrimeTime Draft 2 years ago as the league I was in was expanding and looking to do more than the traditional fantasy league. We've started doing keepers and trading draft picks and each improvement we've made to our league has been mirrored by improvements to your product. I can't express how awesome this is. All the owners in our league are very impressed how easy it's made drafting and being able to have the remote view is perfect for us since we have a couple guys out of state. Anyway, like I said I just wanted to give a big thank you to you and your company for such an amazing product. You have a customer for life right here. Our draft went off without a hitch and in record time! 17 round draft done in 3 hours, compared to 5 last year. We had 3 out of town members using the remote view as well, and they loved it! Thanks for an amazing product! So glad to never worry about paper boards again, and I've already told my friends about it for there[sic] drafts next season. Thanks again! Just wanted to share the feelings of the software after our draft. This was a breakaway league and our first draft. Wanted to do something special and decided to utilize your software. It was AWESOME! Everyone loved it, gave our new league a great feel and look. The draft grades were a nice touch and well received. Will absolutely look to use this product again and would recommend to friends. Everything went smooth as ever for our draft last night. The board is so easy to use and everyone was really impressed with the setup! Thanks again for the great software! You saved the draft day for our family fantasy league!!! It was a hit and at the end of the night it's all that everyone could talk about. You guys have an awesome product and are great at customer service! You can count on us to be back year after year. Great! I bought your software and we had our draft yesterday. Our group loved how easy it was to read on our 55" LCD TV!!! It worked flawless and I believe it took about an hour off our normal draft time from using the old dry erase board!!! Used this software for the first time in a 12 team league, got great reviews, really saves time not having to sort through label sheets. First of all let me just say that this is just an awesome program!!! Last year I created an excel program to keep track of the money but using a separate draft board and the stickers for the visual. This does it all in one and it looks absolutely fantastic and is very easy to use! GREAT JOB! Second of all let me say that your customer service is also fantastic, thank you for getting back to me so quick even though my phone was buried and I didn't answer your call. Then for you to call back a second time and send an email shows me you understand and care for the customer. I love the format of the program. Its simple, yet very precise. I will definitely be back again next year. Our draft was last night and the software worked great! Thank you again. This is a great program and I'll be using it for many years! I'm just excited to finally get a decent looking and working electronic draft board out there. From all the searching I have done, yours by far is the cleanest looking. The draft went very well last night. No issues with the software at all and everyone loved it. I have been using PrimeTime Draft for the last several years and it has been a wonderful tool during the draft. Great draft board that is easy to setup. I have used it for both auction and straight drafts and it is awesome. I recommend it highly.